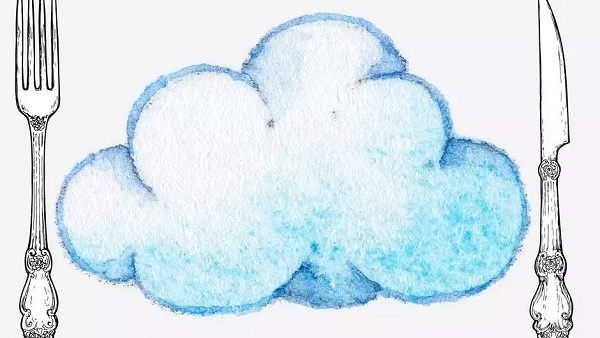 Today, cloud computing is eating enterprise data centres, as more and more workloads are born in the cloud, and some are transforming and moving to the cloud. But there’s another trend that will shift workloads and data and processing and business value significantly away from the cloud. The edge will eat the cloud. And this is perhaps as important as the cloud computing trend ever was. Several overlapping trends are colliding: (1) cloud computing, centralising IT for massive economies of scale and agile provisioning, volatility and growth, (2) the Internet of Things (IoT), where things are becoming connected and sending reams of data, (3) machine learning, taking all of that data and improving processing and predictions, (4) Augmented and Mixed Reality (along with Virtual Reality), where people can interact with other people and things both in physical and virtual worlds, and (5) Digital Business and the Digital World, where connections between things and people are pushing us to more and more real-time interactions and decisions. The agility of cloud computing is great – but it simply isn’t enough. Massive centralisation, economies of scale, self-service and full automation get us most of the way there – but it doesn’t overcome physics – the weight of data, the speed of light. As people need to interact with their digitally-assisted realities in real-time, waiting on a data centre miles (or many miles) away isn’t going to work. Latency matters. I’m here, right now, and I’m gone in seconds. Put up the right appealing advertising before I look away, point out the store that I’ve been looking for as I drive, let me know that a colleague is heading my way, help my self-driving car avoid other cars through a busy intersection. And do it now. It’s one thing to have local processing next to a number of fixed devices, monitoring pipeline pressure, etc. – it’s another when those things are in flight, moving constantly, and perhaps even appearing – digitally – at a location. Sure – software is a thing, too, and software agents could be sent somewhere on the edge to deal with an event, provide information, or interact with people and things locally. All of this requires processing power and storage, lots of it. And data analytics tools. And tools to push software and data to the edge. And tools to federate across the edge, and with the centralised cloud. And machine learning on the edge itself. The edge will need some serious muscle. Cloud computing providers are really good at managing their standardised, centralised, massively-scaled data centres and control software. But the technologies for the edge will be completely different, much more dynamic, much more evolutionary and competitive. Cloud providers are trying to reach out now and subsume control of the edge before the edge takes off. Cloud providers would very much like the edge to simply be a part of “the cloud.” And it might be. But I think it’s more likely the edge will carry its own weight, driven more by consumers and consumer experiences than enterprises. A completely different kind of workload. The edge will create some serious winners and losers, both in terms of vendors, and businesses. The edge can’t be ignored, because it could be a serious competitive advantage. And in the physical world, at least, there will be a land-grab for the edge (the land grab in the future metaverse is a completely different story). The time to have an edge strategy is very, very soon. Watch as VR goggles start to take off, and heads-up displays in cars, and mixed reality apps on smartphones (doing more than Pokemon), and maybe Google Glass II. These technologies will push the edge explosion, soon. For the last several years, enterprises have focused on cloud computing, and have been developing strategies to “move to the cloud” or at least “expand into the cloud.” It’s been a one-way, straight highway. There’s a sharp left turn coming ahead, where we need to expand our thinking beyond centralization and cloud, and toward location and distributed processing for low-latency and real-time processing. Customer experience won’t simply be defined by a web site experience. The cloud will have its role, but the edge is coming, and it’s going to be big.